After backlash to proposed Georgia Senate Bill 273 that would consolidate the state’s three public historically Black colleges and universities (HBCUs) into the Georgia Agricultural and Mechanical University System, lawmakers swiftly withdrew and introduced in its place a second bill, SB278, allowing the institutions to keep their names under the system. However, the move did not alleviate the concerns of alumni and supporters of Albany State University, Fort Valley State University and Savannah State University, who wished for more transparency in the crafting of the bills by state senators. Five Georgia senators – Tonya Anderson, Gail Davenport, Harold Jones, Freddie Powell Sims and Nikema Williams – withdrew their names and support from the previous SB273 bill after mounting backlash, according to a statement issued by the group Monday. They have not signed onto SB278, which is now solely sponsored by State Senator Lester G. Jackson. Sims added that the group of legislators that originally signed SB273 believed the bill to be a resolution that would merely continue a study committee focusing on the future of the three HBCUS. “It was not,” Sims said, noting that the study committee, which was hosted last summer, involved conversations about increasing enrollment and retention and disparities between and among the historically Black and predominantly White universities in Georgia, particularly around the amount of funding and support given over the years. In addition to consolidating the three HBCUs into one university system, SB273 would have given Georgia governor Brian Kemp the authority to appoint 11 members out of a newly created 13-member Board of Trustees for the Georgia A&M System. Under the new SB278, the proposed consolidation into a university system still stands, but Albany State, Fort Valley State and Savannah State would remain separate entities with their own president appointed by the board. The board would increase to 19 members, with Kemp still retaining the authority to appoint more than half of the trustees. And if enacted, SB278 would require that the Georgia A&M System “be treated in the same manner” as the University System of Georgia. But the bill is far from being approved. Jackson, author of both SB273 and SB278, told WALB 10 that there were several factors behind his reasoning for the bill that would consolidate the three HBCUs into the Georgia A&M System: declining enrollment, historical underfunding, low endowment, a lack of student and alumni involvement in the presidential search process and overall inequities compared to other universities in the state. The merger would resemble systems like North Carolina A&T State University of Florida A&M University. Jackson’s office did not respond to a request for comment. At a press conference Tuesday, alumni and others believed they would find legislators condemning SB273, only to hear of the proposed SB278, which they did not fully understand all of the details. “To hear about the bill being switched to bill 278, which was not available or made available to us here, at this press conference, I was not comfortable or satisfied,” Albany State University alumna Monica Franklin-Redden told WALB10. 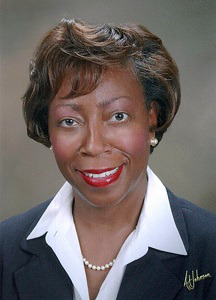 However, Janice Hardy, president of the Albany Alumni Chapter of the Albany State University National Alumni Association, sees the bill as an opportunity to support all three HBCUs. Still, she believes keeping the institutions’ unique names will preserve their historical legacies.